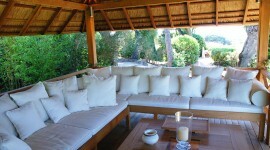 A little cool! 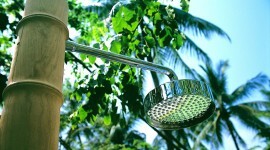 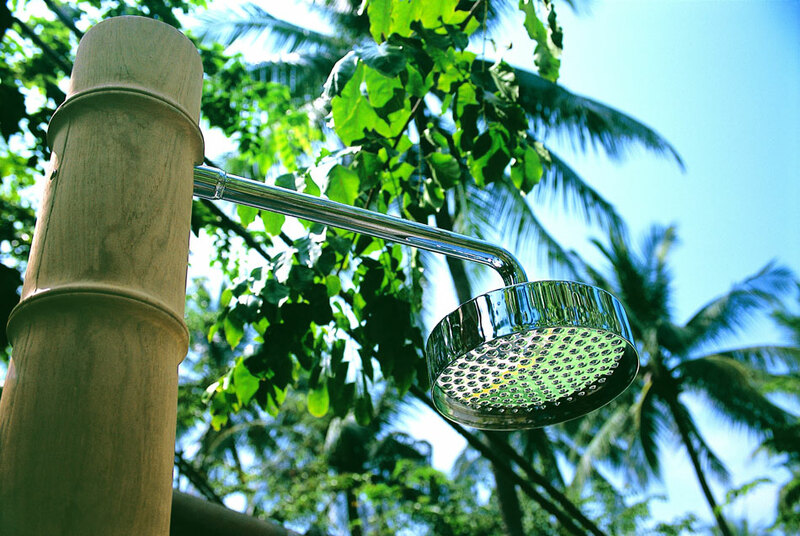 Turn a simple tap and receive, as if by magic, a fine rain of freshness! 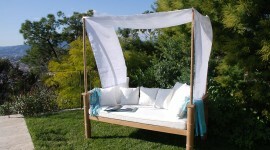 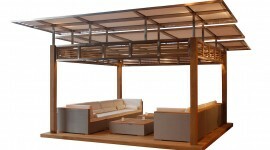 For the outside but also the inside, Saga is a line of furniture composed by 9 modules to be assembled as you see fit. 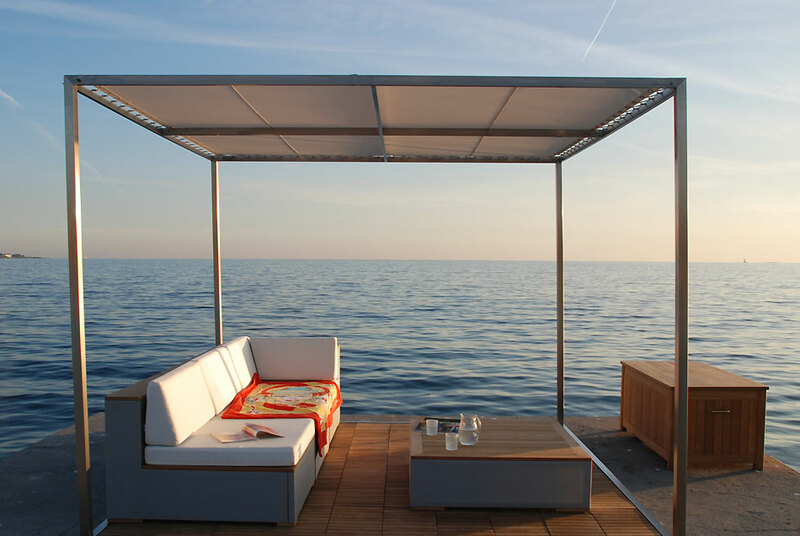 Aesthetic and discreet, SKYLINE offers an open space of 9 sq.m., protected from the heat of the sun. 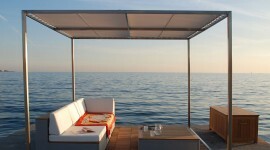 A trip to the Caribbean? 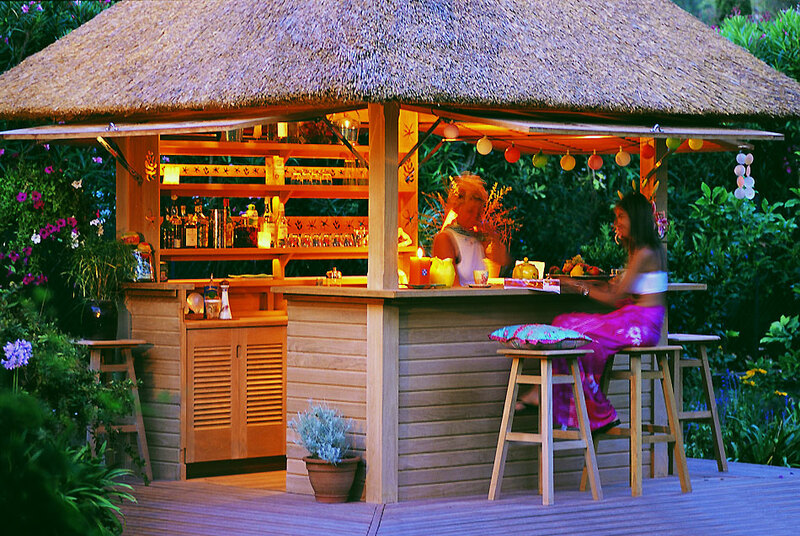 The PIRATE'S TAVERN invites you to take a refreshing cocktail with friends! 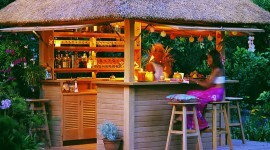 The TI BAR, is a true outdoor kitchen… for pleasure and lifestyle. 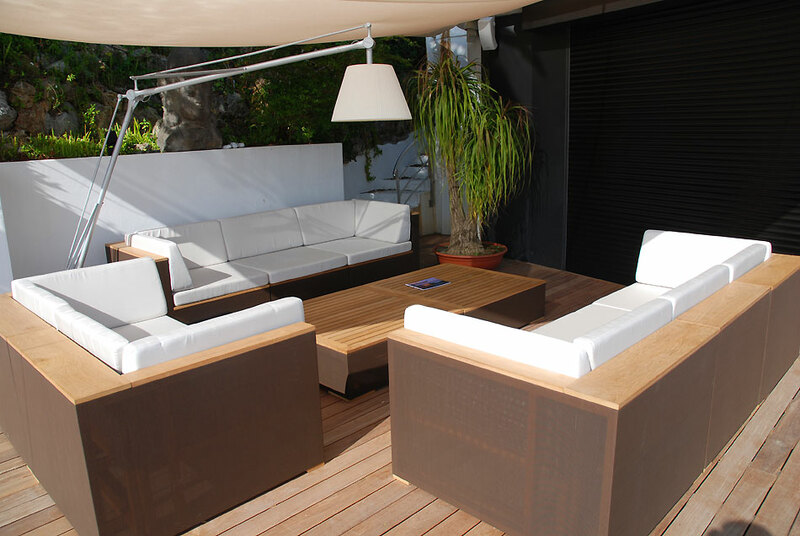 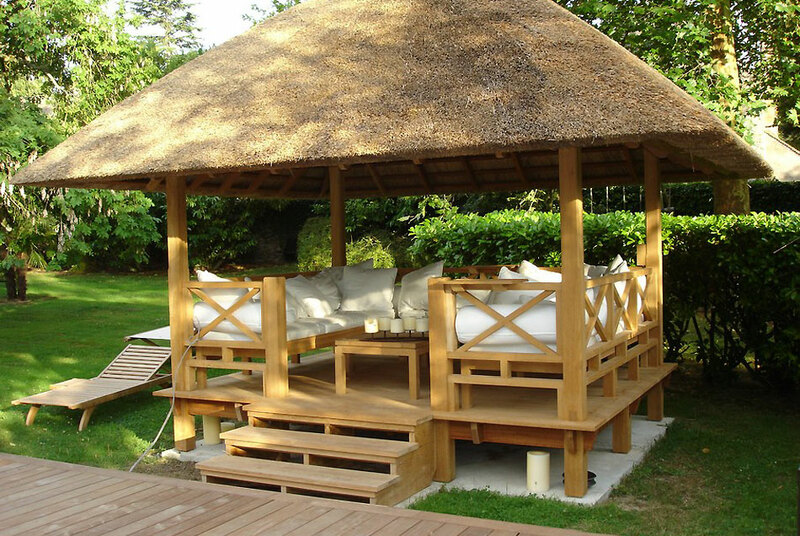 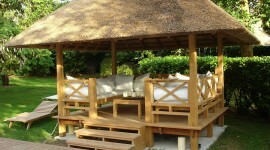 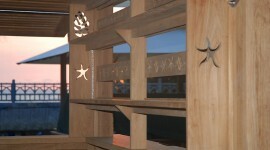 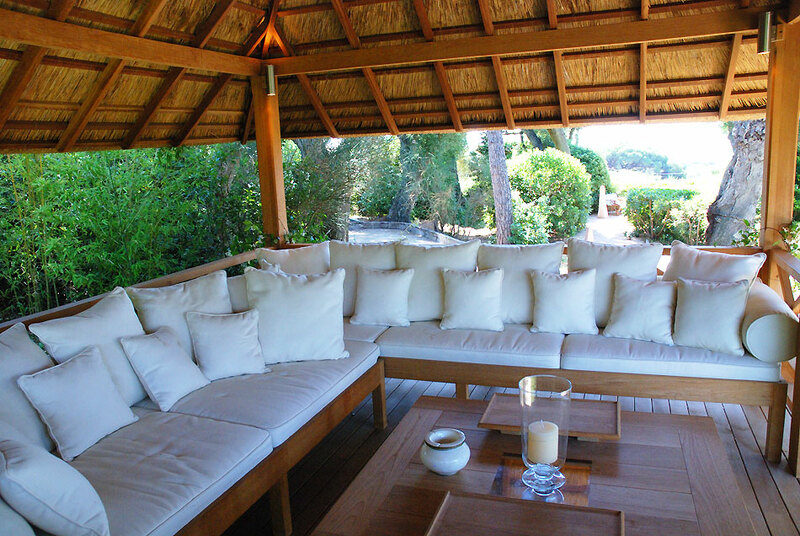 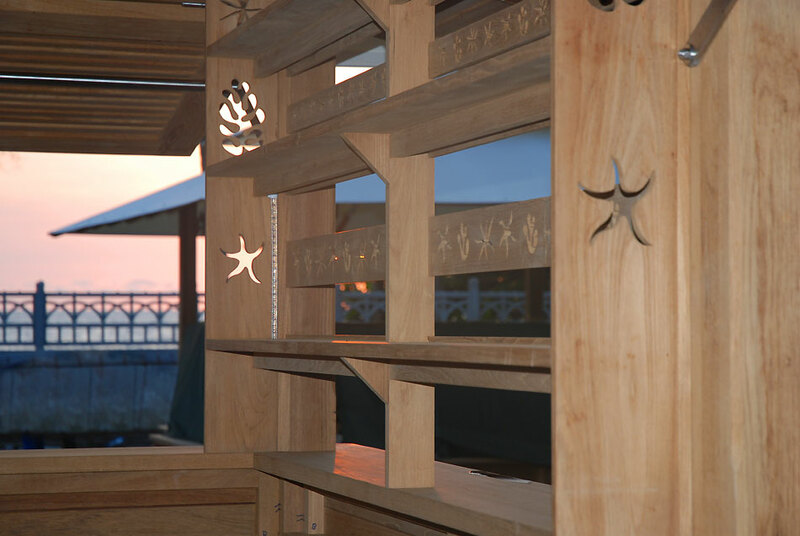 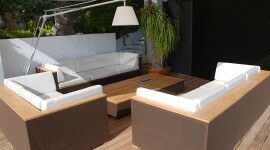 Its structure is massive teak laid on a deck of 16m². 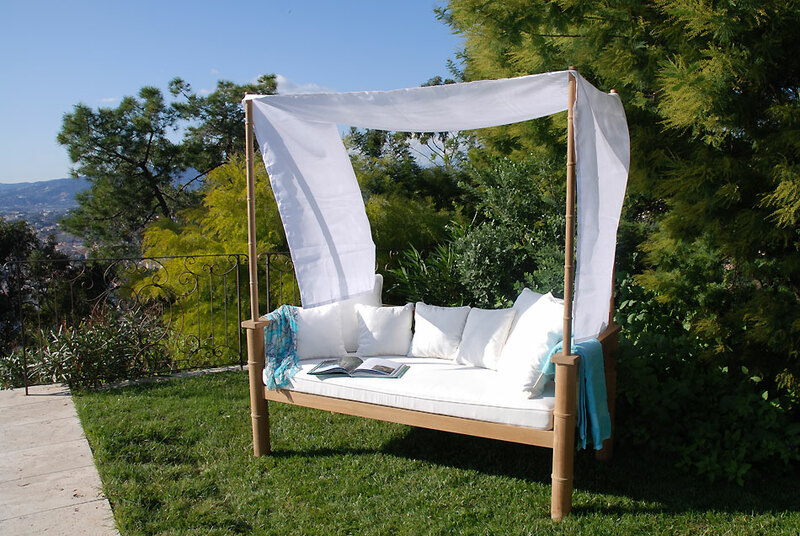 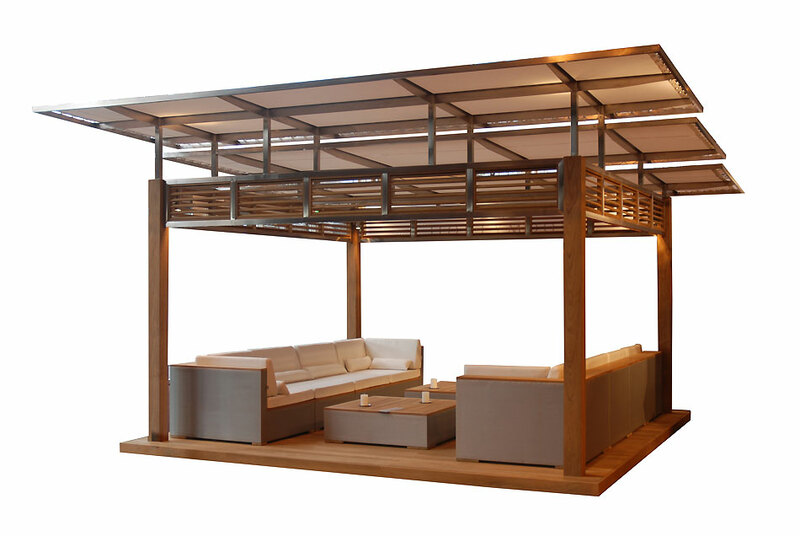 The EARLYBIRD offers a modern approach of the gazebo: minimalist prospects will particularly appreciate this exceptional product.